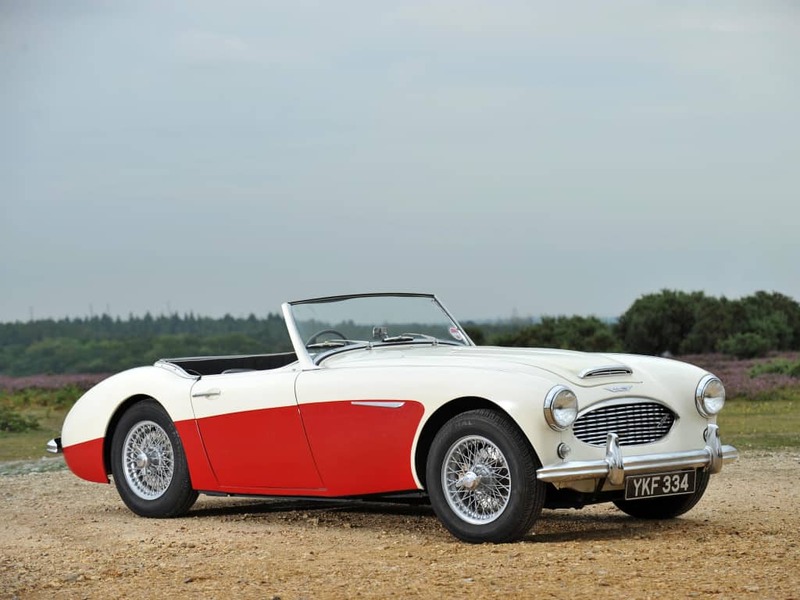 The Austin-Healey 3000 was one of the most revered sports cars of the 1960s. It came as a 2-door roadster with 2 or 2+2 seats and a 2.9 l engine. The car was beautifully designed, drawing heavily on the very successful design of the 100 model, but featuring more modern features and a more powerful engine. There were three different generations of the car, each more advanced that the previous, bringing technological advancements for more power and comfort additions. The first one was made from 1959 to 1961; the second one from 1961 to 1963 and the most successful one from 1963 to 1967. 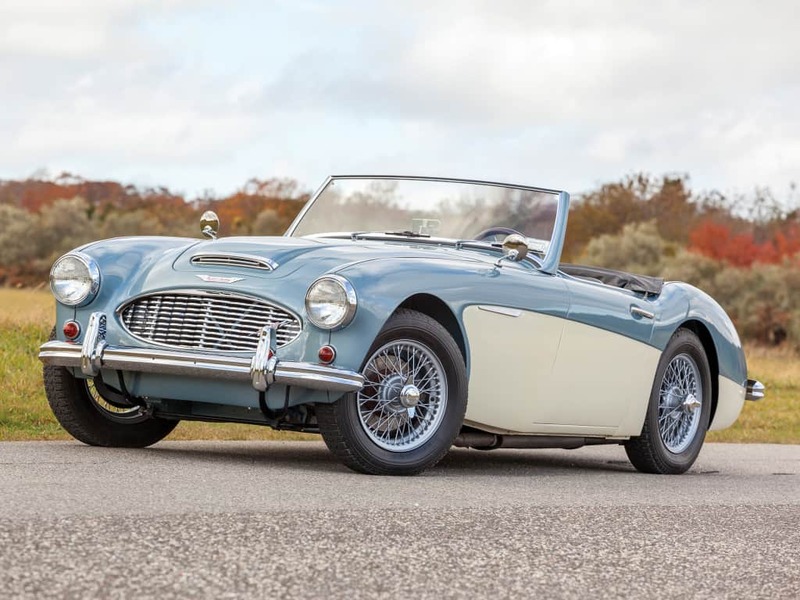 Its incredible mix of classic styling and amazing driving characteristics made it a favorite in its heyday, but also a very sought after classic car. 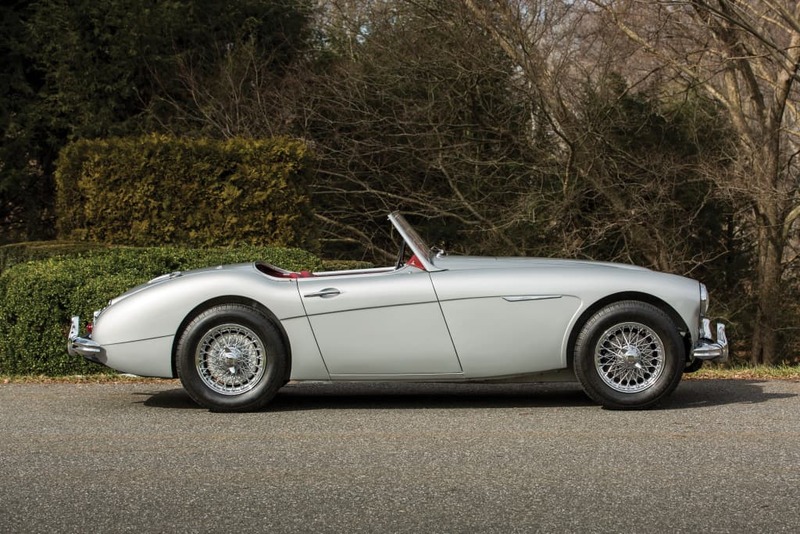 The Austin-Healey 3000 first appeared in 1959, but its design was already familiar. It looked pretty much the same as the two previous models – the 100 and 100-6, featuring several changes and improvements, including a bigger engine, but obviously drawing on their legacy. The 3000 came in three different generations. The Mark I came in 1959 and lasted until 1961, when it was replaced by the Mark II, which brought several changes and improvements and also put a spotlight on what could be further improved, what did happen with some upgrades for the 1962 model, but the last iteration was the ultimate one. When Mark III came in October 1963 it was the best, most powerful and advanced version of the car. It remained in production until 1967, when Austin-Healeys went out of production. Even in 1959 the Austin-Healey 3000 was a somewhat old design. It was heavily based on the two previous models – 100 and 100-6 – the former appearing in 1953, so by the 1960s the 3000 was by no means a new thing. However, the 100 and the 100-6 were extremely revered sports cars and an improved version of these was extremely welcome. The Mark I had two designations – BN7 for the 2-seater and BT7 for the 2+2. It came with a 2.9 l I6 engine packing two SU carburetors and disc brakes for the front wheels. The engine gave 124 hp and 175 lb-ft of torque for the top speed of about 113 mph and acceleration to 60 mph of 11.4 seconds. Aside from the sporty heritage and familiar body, it came with several optional additions such as wire wheels, laminated windscreen, heater, overdrive gearbox, adjustable steering column, hardtop and more. The Mark II came in 1961 featuring the same designations for the two versions. However, it did bring some significant changes, both in terms of tech and comfort. Initial version came with three SU HS4 carburetors and a new camshaft. The carburetors were a problem to balance, so cars from 1962 had them replaced for two SU HS6 carburetors. The power rating rose to 132 hp and the car was 3 mph faster than the Mark I. The 1962 version also had a new designation mark – BJ7. Speaking of comfort and styling, the Mark II had a wrap-around windscreen, different hood, wind up windows and a different front grille. The list of optional features mostly carried over from the Mark I, but dropped the hardtop and introduced servo brakes. Although servo brakes were a great addition, the standard ones proved quite sufficient as well, providing lots of confidence and not having problems with fading. The version that was in production the longest was the Mark III. By 1963, when it appeared, the manufacturer was aware of the fact that after 10 years of similar design, this was probably the last iteration of the 3000. This is why they went all the way, making it the most powerful and the plushest of them all. The additional power came from a change in camshaft design, new exhaust system and twin SU 2” HD8 carburetors. The power came to 150 hp and the top speed to 122 mph, while acceleration went below 10 seconds. The BJ8 2+2 had standard walnut-veneer dash, servo brakes and wind-up windows. 1964 models had a different chassis design and 1965 ones different indicators design, but the main features of the car remained the same until the end of production in 1967. 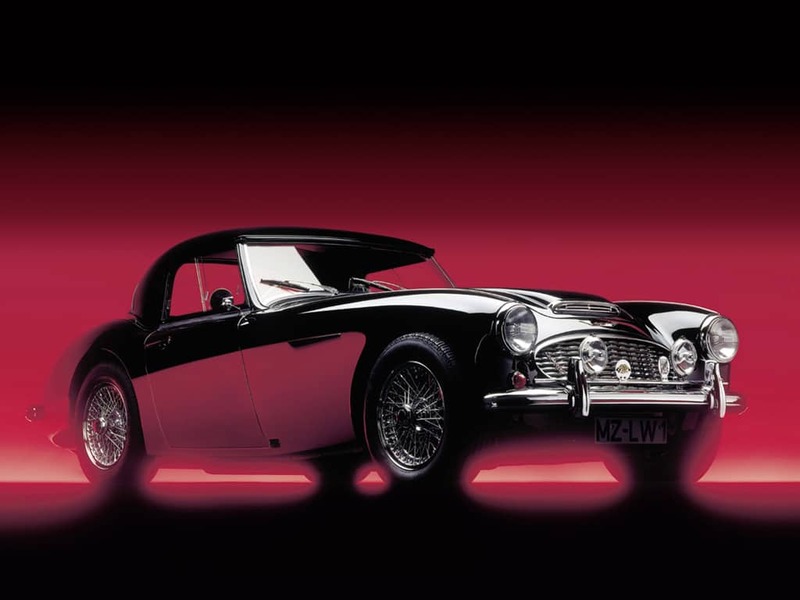 In total 42,926 Austin-Healey 3000s were made. The 3000 is a light car with a good engine. The heaviest it got weighed 2600lbs, so it was great to drive. It was so good on the road that it won several different European rallies. Later versions got servo brakes which were awesome, but the standard ones were more than sufficient. The top speed varied between 113 mph and 122 mph and acceleration went from over 11s to under 10s (more on this in the History & Development section). The gearbox was one of the best things in the 3000. The shifts were precise and fast and overdrive option was an amazing addition, keeping the car incredibly quiet up to 3000 rpm, but letting you enjoy the roars above that. During sharper turns, the 3000 was great and it would stay firmly in line, although most today’s owners will drive it peacefully, making more use of the overdrive gear than the sporty suspension. The car’s interior did change over the years. The initial models came with a three-spoke steering wheel and four dials hidden behind it, the speedometer and rev counter being the biggest. The dashboard in front of the passenger was curved with a large, open storage space. The transmission stick was placed in a somewhat awkward position, as was the handbrake which perched next to the passenger seat. The central position of the dashboard was reserved for the ignition lock, while above it, on the dashboard itself, there was a rear view mirror. The Mark II had a very similar design, but it brought changes like wind up windows and different transmission, both in looks of the stick and function. It also got wrap-around windshield. The Mark III brought significant upgrades to the interior. Only three instruments remained, the central column got a different, as did the transmission tunnel now with a handrest, more modern shape, the front seats gave far more support and the dashboard in front of the passenger got a conventionally-shaped glove compartment. On all three models you could get a heater, adjustable steering column and rear seats that were ok for short trips, but not really an option for travels.